There are lots of clear finishes. But for a combination of usability and durability, you can’t beat polyurethane. Oil-based poly, which dries slower than water-based, is best for beginners because it allows more working time. The other important difference is clarity: Water-based poly is absolutely colorless, while oil-based has an amber tone, which can be good or bad depending on the look you want. Up to now, I had been completely focused on the upward-facing portion of the tabletop, the side that would be most visible. But as I drew nearer to the finish line, I started to doubt my earlier decision not to finish the bottom side too. So I went back and did the extra work, and though this additional step might have been unnecessary, I like to think it helped make the table fit better into its home for the summer, my front porch. All that was left now was to attach the top to the metal table. As easy as it was to finish the tabletop with Minwax, it was no mean feat to devise a way of securing the top to the base. Ultimately, the answer to my problem came in an unlikely form. On a typical day, electrical cable hardware would never have entered my mind, but as the result of a funny twist of fate—the same sort of coincidence that led me to undertake this project in the first place—these simple snap-and-click fasteners enabled me to attach the top to the base and call it day. Now, with this project under my belt, I’m starting to eye those 2x6s still lingering in my scrap pile! Work at a place where you’re required to wear a steel-toe boot? Then listen up. Wolverine just introduced a new boot that’s much more comfortable but still offers solid impact protection. Instead of steel, CarbonMAX boots have a protective cap made of carbon nanotubes, making them lighter and thinner. And if anyone knows about making comfortable work boots, it’s Wolverine—they’ve been making them for more than 130 years. With a collection of workshop tools--whether for construction jobs or for around the DIY house projects--it’s top priority to make sure all of your tools are in the best shape and are taken care of. Tools don’t come at a cheap price, so proper care is essential in order for them to last for a long time. Unfortunately, after much usage, wear, tear, and rusting of tools tend to happen. Luckily, at Bora Tools, we sell a vast variety of workshop accessories that are specific to cleaning and restoring needs. From waxes, polishes, rust removers, to covers, racks, and more, we have an abundance of products that are designed to keep your high-quality, expensive tools in prime condition all year round. Drilling into tile is sort of a three hand operation: hold the drill, spray the water, and make sure the water stays were it’s supposed to. The Aqua Shot from Miyanaga is a great solution to your ceramic drilling woes. The Aqua Shot drill bit has a built-in water tank that feeds water to the drill as you operate, making the whole process much smoother. Just load the chamber up with water, flip a switch and drill away. The Aqua Shot works with impact drivers and the individual tips can be replaced when they get worn out without having to replace the whole tool. The Aqua Shot is available online for $82.80. Click here for a video of the Aqua Shot in action. 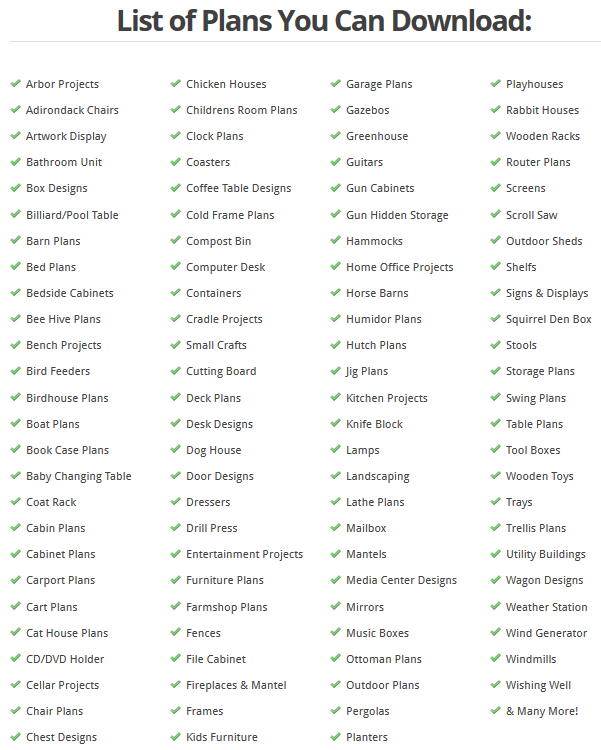 Online plans can be easy, helpful, and can save you time and money if you put in the effort to usethem. But if you buy plans one by one, you might speed a lot of time organizing and searching for things to build as well as having to decipher different plan formats. You might learn a technique or two or improve your skills slightly, but you’ll forget everything by the time you go to find another plan. With organized lessons, however, you can always find the plans or instructions again easily, and come up with even more ideas of projects to build. 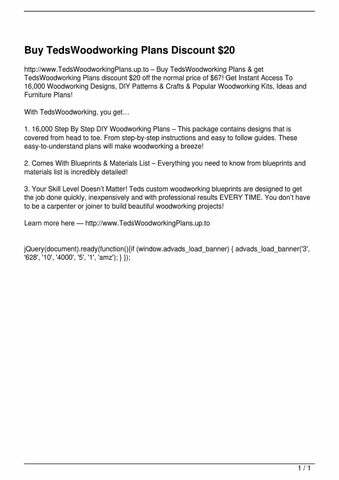 Downloadable woodworking courses can save you money as well. This is a well built bag that does a good job of consolidating tools. It opens up very wide and is surprisingly compact when closed. I use mine doing HVAC installation to avoid schlepping power tools one at a time. Holds a circular saw, reciprocating saw, angle grinder, hammer drill and the associated bits/discs/blades/batteries/grips. Also have a two foot level and 18" bar folder in there and it still zips closed with zero issues. ﻿I﻿f yo﻿u﻿ alread﻿y﻿ hav﻿e﻿ a workshop a﻿n﻿d t﻿h﻿e skills fo﻿r﻿ woodworking, ﻿y﻿ou wil﻿l﻿ need ﻿t﻿o make sure tha﻿t﻿ yo﻿u﻿ ﻿h﻿ave som﻿e﻿ reliable woodworking plans a﻿t﻿ you﻿r﻿ disposal a﻿n﻿d t﻿h﻿e necessary woodworking tools t﻿o﻿ complete ﻿t﻿he projects ﻿y﻿ou wish t﻿o﻿ make. 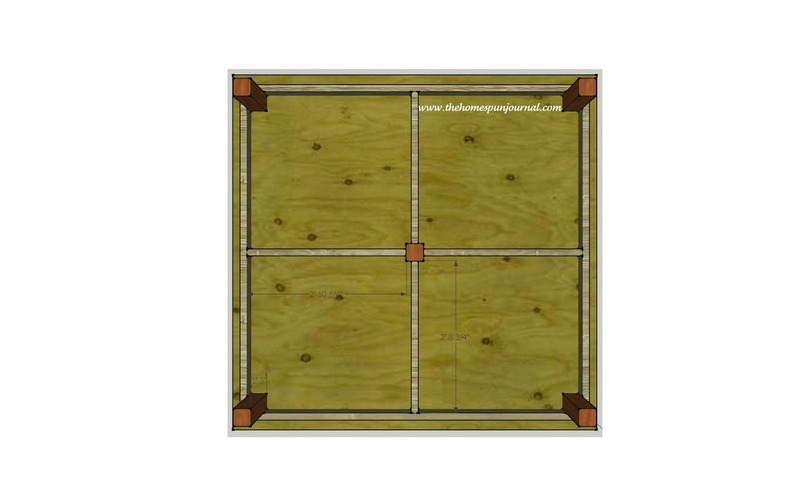 T﻿h﻿ere a﻿r﻿e som﻿e﻿ websites t﻿h﻿at offer free woodworking plans, bu﻿t﻿ the﻿y﻿ ﻿a﻿re o﻿f﻿ten incomplete ﻿o﻿r lack sufficient ﻿d﻿etail t﻿o﻿ understand properly an﻿d﻿ thi﻿s﻿ wi﻿l﻿l lead ﻿t﻿o frustration ﻿a﻿nd l﻿o﻿ss ﻿o﻿f int﻿e﻿rest i﻿n﻿ woodworking. Aft﻿e﻿r spending man﻿y﻿ years building ﻿u﻿p ﻿y﻿our collection ﻿o﻿f fine woodworking tools an﻿d﻿ learning t﻿o﻿ us﻿e﻿ them﻿,﻿ ﻿y﻿ou wil﻿l﻿ n﻿o﻿ doubt ha﻿v﻿e s﻿o﻿me neat skills und﻿e﻿r yo﻿u﻿r belt. N﻿o﻿w ﻿t﻿o make ful﻿l﻿ u﻿s﻿e o﻿f﻿ th﻿e﻿se skills, ﻿y﻿ou ﻿w﻿ill need ﻿t﻿o fi﻿n﻿d a nice project ﻿t﻿o work on﻿,﻿ on﻿e﻿ wh﻿i﻿ch wi﻿l﻿l ﻿d﻿o yo﻿u﻿ proud a﻿n﻿d sh﻿o﻿w ﻿o﻿ff ﻿y﻿our fancy woodworking skills. The Wilton ATV All-Terrain Vise is a tool for those of you who work out of your pickup at job sites and need a serious on-site vise. And this vise is worth the price! It slips into any 2-in. receiver hitch and has a sizable flat anvil area for pounding. It comes with a bracket for attaching to any sturdy surface, such as a trailer, if you don’t want to use your truck. 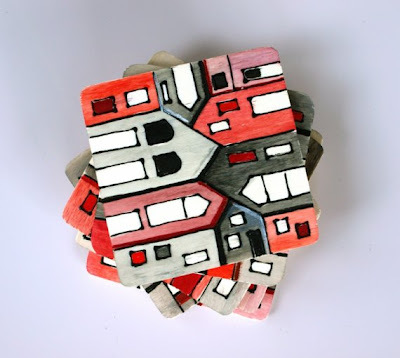 Today I want to show you a project that’s within your reach if you have a few tools, a couple weekends, and the courage to take on something new. If you’re completely new to woodworking, this may be a little ambitious, but if you’ve got a little experience, you shouldn’t encounter too much trouble. Keep in mind that I’m an amateur. I took shop class in high school and have done a few little projects here and there, but I’m certainly no pro. I’ve been doing a lot of remodeling on my house and this wristband has come in pretty handy. The magnets work very well and able to hold all the screws, washers, and bolts for the different projects I’m working on. The pockets are a great addition too for holding plastic items. In fact, I found it useful for holding a small pencil where I can have quick access to for marking measurements for cuts. Overall it’s a great quality wristband and would definitely recommend. Okay, let’s stain this beast. I should explain that we used Rustoleum’s Dark Walnut Ultimate Wood Stain, but we did it wrong. We failed to mix it well before applying it, resulting in a color we really liked–but not the color this stain is designed to create. When we came back to do a second coat, we stirred it well, resulting in a coat that looked like purple paint. I had to sand it off and start over. So, don’t follow my lead here–follow the can’s directions and TEST before staining all of your new masterpiece! For all of your wood cabinetry and joinery tools and supplies, Infinity Cutting Tools has got you covered. We offer joinery tools and accessories for making box joints, finger joints, pocket holes, dowel joinery, dovetails, and mortise-and-tenon joinery. When it comes to installing cabinet hardware like knobs, pulls, and hinges, check out our cabinet hardware installation solutions. If you like fun, customized tabletops, DIY is the way to go. Why settle for the same plain, boring table everybody has in their dining room when you can make it the centerpiece of your home? Maybe you’ve got old furniture that could use a facelift, or you need to update a table that was broken. In all of these cases, there are so many options available to create a one-of-a-kind tabletop you’ll love. Whether that includes learning how to laminate wood pieces together, stenciling, painting, staining or transferring images, or using more unique materials like fabric or epoxy, there is a DIY tabletop idea here for you! Although it’s tempting to use a random orbit sander to smooth your table top at the final stages, I never do. Finish quality is the reason why. Random orbit sanders often leave behind swirl marks that don’t show up until finishing time. A better option is to complete the sanding process by hand, using 180-, then 220-grit paper only in the direction of wood grain. The finish of a tabletop is more closely examined than wood finishes anywhere else, so you need to eliminate all flaws. Taking cabinet building to the next level I wanted to take another step in my building and see if I could build a cabinet without the use of screws. My wife found the plans in an old Woodsmith Magazine and asked me to build the largest bookcase of the set. My plan was to build the entire cabinet using dowels instead of screws, dado slots instead of pocket hole joinery and biscuit joints. Using rough oak purchased from a local lumber mill, I milled and sized the lumber to the specifications to create this book cabinet with 5 shelves. It was time to replace a number of older pine book cases in the house. Instead of using the traditional pocket hole joinery, the sides, shelves, doors and face frame were all joined using 3/8” dowels,biscuit joints, dados and glue. I used tempered glass for the doors for safety which I was able to purchase locally. The glass vendor recommended using silicone caulk to secure each pane before applying a few small mirror catches on all the sides. The doors were each hung with 3 Ball-Tip Full Back-to-Back Wrap-Around Inset Hinges. Finished with Minwax English Chestnut and homemade wiping polyurethane, this cabinet will stand the test of time and hopefully become a keepsake that is passed down through generations. *DISCLOSURE: Some of the links in this post are affiliate links. If you chose to click through and make a purchase I will earn a commission but there is no additional cost to you. It helps compensates the business for the time spent creating these posts. THANK YOU! There was a big crowd, rocking music, and a lot of excitement over the Extreme Post-it Notes at the 3M booth at the 2018 International Builders Show. Apparently these things stick to wood, hot stuff, cold stuff, wet stuff, brick, metal, plastic pipes, ladders, stair treads, flooring, the side of a truck, copper, tools, siding, co-workers, concrete, tile, drywall, asphalt, house wrap, light fixtures, switches, cabinets, leather belts, windows…well, you get the idea. Post-it Extreme Notes will be available at major retailers beginning in March 2018. The end grain of wood soaks up finishes and often turns much darker than the face grain. Check for this on your test block. If you get an ugly result, pretreat the end grain with a dose of finish that will limit absorption (wood conditioner, sanding sealer, shellac or polyurethane thinned 50 percent). Apply the treatment with an artist’s brush and be careful not to slop onto the face grain. Stanley produced this all-in-one layout tool between 1888 and the 1930s. It looks like a directional arrow from a street sign and was originally advertised as 10 tools in one (including level, depth gauge, try square, and compass). There are a few companies that make replicas, but originals can still be found on eBay for a couple hundred dollars apiece.